Double fold bias tape – Nice dress! Thanks, I made it!! Still “sitting on the fence”! 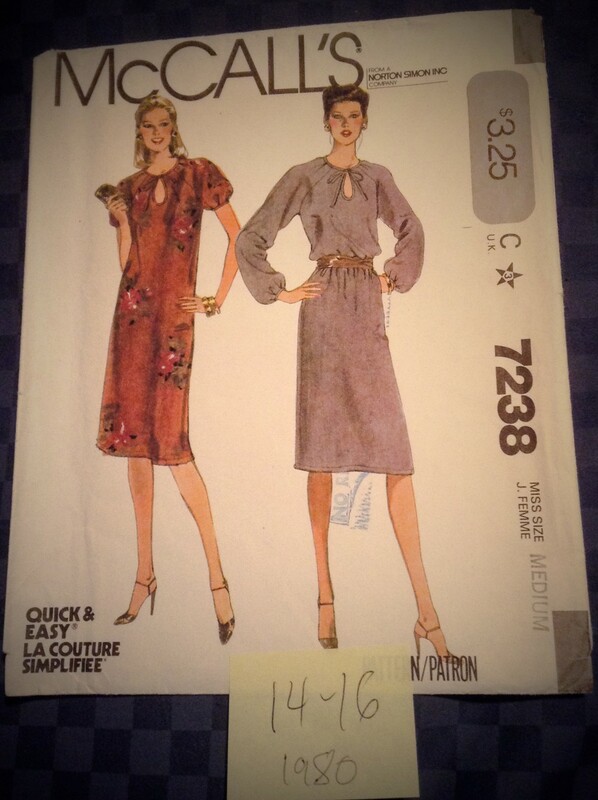 Last week I came to a grinding halt sewing up my First Vintage Pattern. You can read about it here, if you like. It’s a McCall’s 7238 from 1980. I wanted to use a special fabric for this special dress. 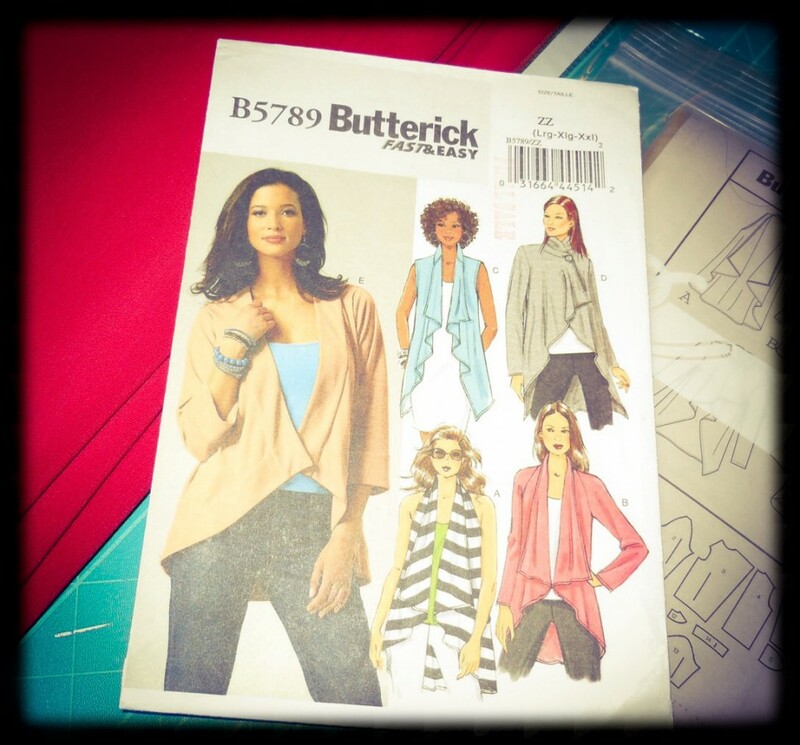 After all, the last time this pattern was used it was to make my sister’s wedding dress! 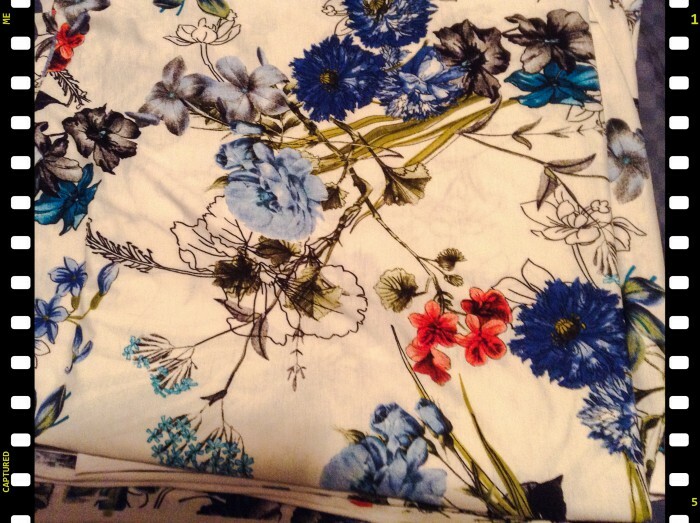 I found a beautiful flowered print in my fabric stash – a Misty Stretch ITY Slub Jersey Knit, 96% polyester, 4% Lycra. Unfortunately, although the fabric drapes well, it is as light as the finest tee shirt material. My quick fix and I am really happy with it! 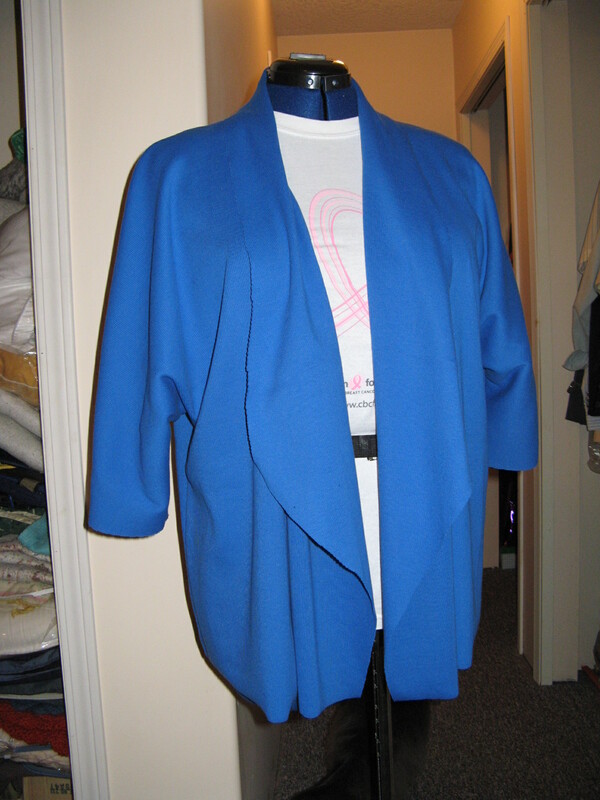 Yesterday’s post resulted in a lovely blue cardigan, McCall’s M6802 ….. that needed some improvement. 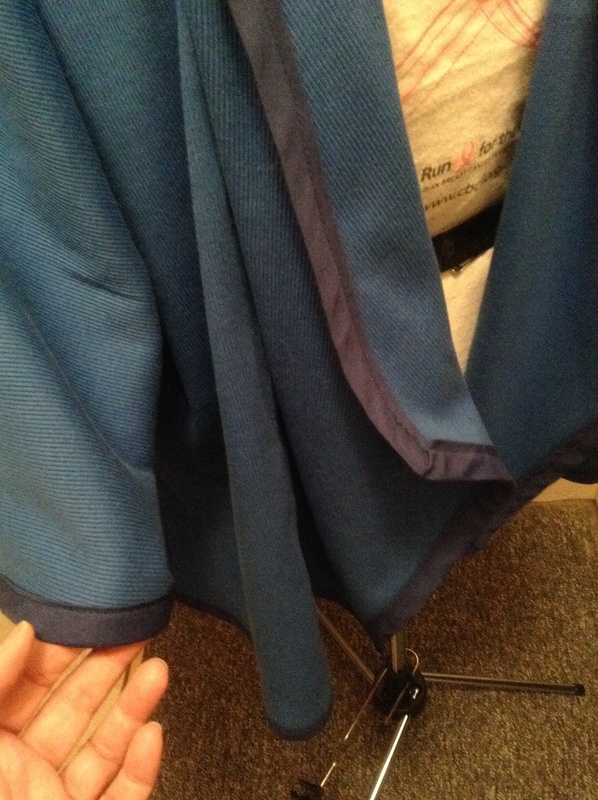 The pattern instructions suggest to leave the bottom and collar edge rough or to hem the bottom and collar edge up as usual. 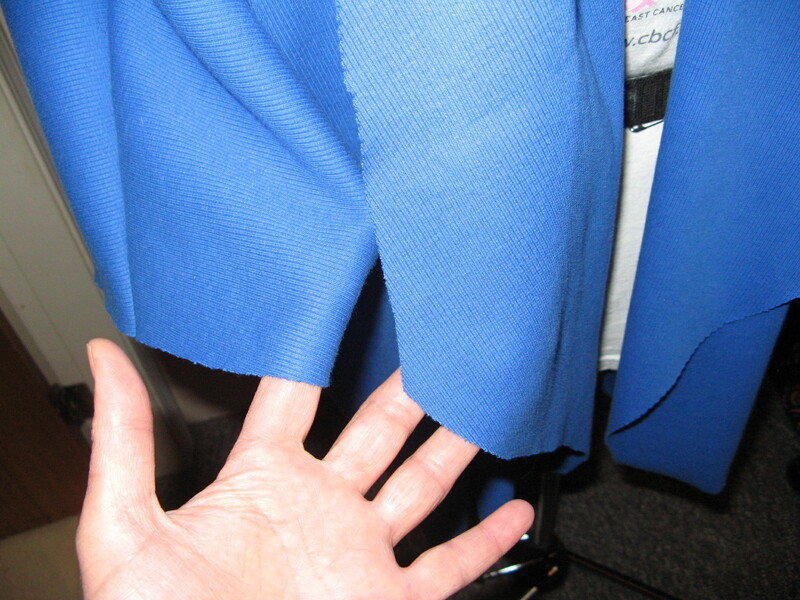 The problem with that is the bottom hem continues up into the collar hem, which then flops around to show the wrong side of the hemming. Something I do not like. 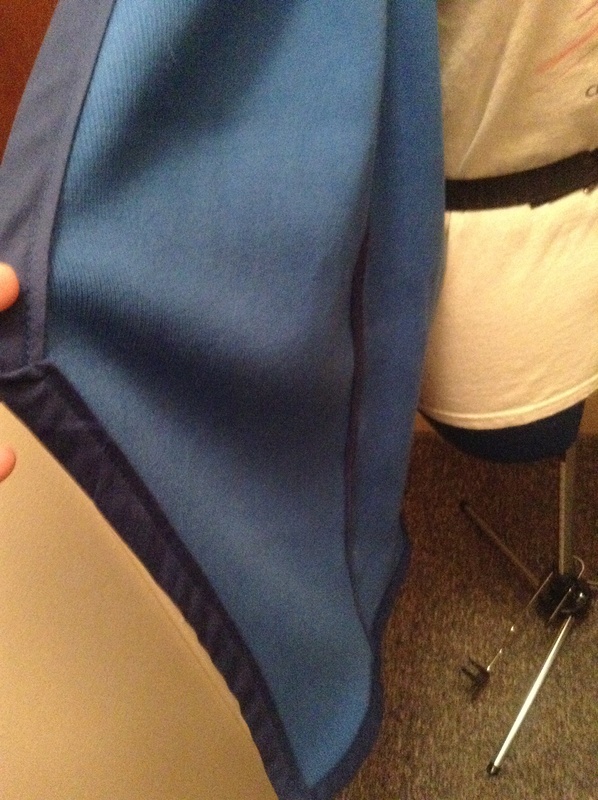 So I purchased some wide foldover broadcloth to cover the edges (it looked just like double fold bias tape) and some single fold bias tape to cover the inside seams that might show with movement. 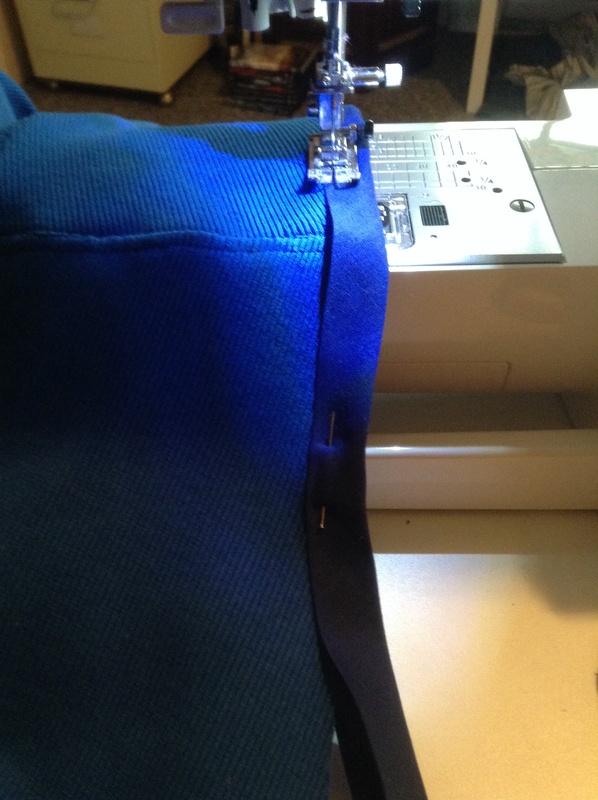 They were so easy and quick to sew on! 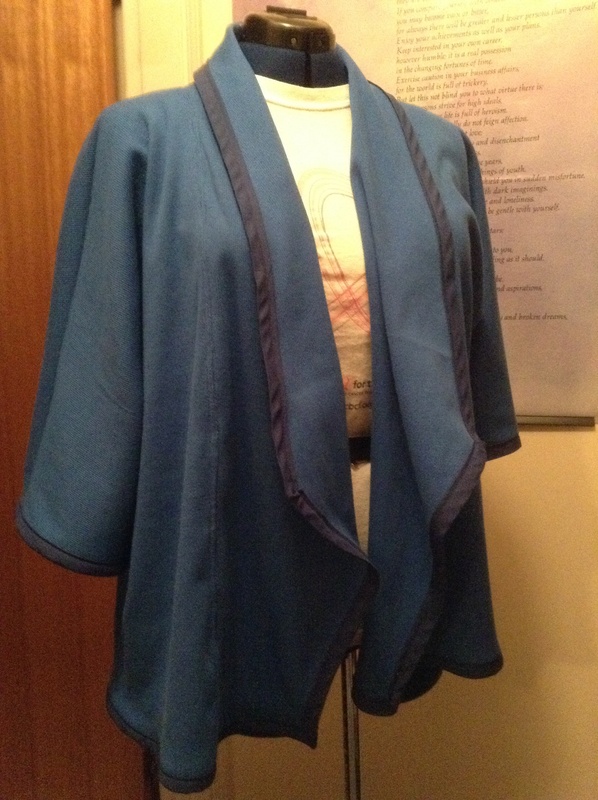 The finished look, beautiful edges and covered seams inside. Finished! and I am really happy with it! I think I shall wear it to work tomorrow!